Binaural beats are the frequencies generated from the difference between two different frequencies. For example, your right ear listens for 500hz and a 460hz left ear then you will hear binaural beats with frequency 40hz. Then how binaural beats can cure disease? Binaural beats frequency can trigger our brain to respond and follow the resulting frequency. Keep in mind every day our brain produces brainwaves (brainwave). This brainwave is very dynamic can change any time according to the condition of our body. There are several types of brain waves that need to be known. Gamma (20-40Hz): This brainwave occurs when we are in high mental states like panic, fear, anxiety, restlessness. It usually happens when performing in public. Beta (12-20Hz): Waves generated by the brain when we are fully conscious. As it is when you read this article. Alpha (8-12Hz): Waves generated by the brain when we are in a semi-conscious state or relax, such as when our eyes are closed, sleepy or when we are going to sleep. Theta (4-8Hz): This wave is generated when we are asleep but not yet asleep, still dreaming. A deep meditational condition also produces these waves. Delta (0.1-4Hz): Waves generated by the brain when we sleep soundly, unconsciously, or coma. In this condition, our body usually recovery body cells. From the description above can be concluded that our brain has the phases of brainwave according to body condition. If we want our brain to be in a certain phase we can trigger it by listening to binaural beats.What diseases can be cured? Many, can be mental illness or minor illness caused by brain activity. Stress: Stress is usually triggered by a fearful, anxious, or anxious brain. Based on the description. the brain will produce gamma waves. So to neutralize it again we can listen to binaural beat frequency Alpha to make our brain more relax. Insomnia: Insomnia or sleep disorders often experienced by young people, the cause of insomnia can be from stress, drugs, coffee, or high mental condition. This disease can be overcome with binaural beat waves below 12 Hz Like Alpha , Theta and Delta. Fever: Fever, heat, or fever is a common human illness. One way to overcome it is to rest your body in full. Can be achieved by listening to binaural beat Delta. In addition to the above diseases, you can apply to other diseases. Choose binaural beat waves that are suitable for your recovery. Surely this method does not fully guarantee healing, if your illness comes from factors other than the brain. Do not forget if the pain continues Contact Doctor! Besides curing diseases. 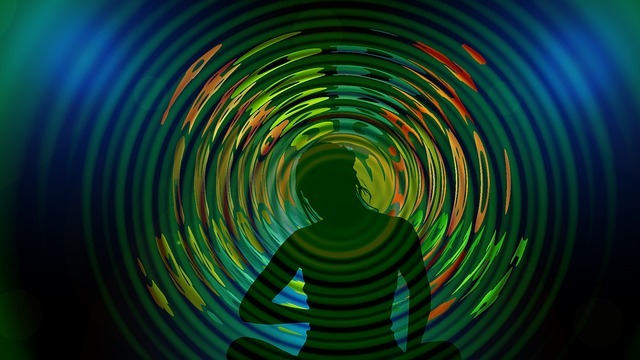 Binaural Beats own wave can increase your mental ability and intelligence even reportedly can make you achieve a higher awareness like a supernatural condition when you listen to binaural beat above the frequency of 40 Hz. Binaural beats itself is more often used for meditation practice, meditation is very useful to balance the condition of the body. Or for those who want to practice Lucid Dream and Astral projection can also be assisted with binaural beats. Any activity related to the unconscious. Note: To listen to the binaural beat required to use headphones/stereo headset mounted on the left and right ears.